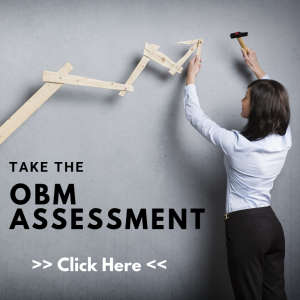 So you are interested in becoming a Certified OBM® - Great! Online businesses are growing at an alarming rate, and many online based business owners find themselves “tapped out.” They simply can’t do it all themselves anymore and are desperately seeking someone to help them grow and manage their business – they are looking to hire a Certified OBM®. Please note upon signup you will also receive a complimentary subscription to the Online Business Manager Newsletter. We will NEVER share, rent or sell your information to any other organization. We promise! Step 2 – Read the book! 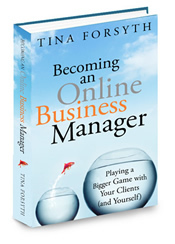 Get a copy of the book Becoming an Online Business Manager: Playing a Bigger Game with your Clients (and Yourself) My mission in writing this book is simple – it’s to help you, the aspiring Online Business Manager, open your eyes to the possibility of doing this for a living. 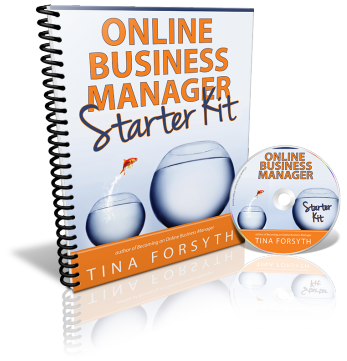 "Tina Forsyth’s book ‘Becoming an Online Business Manager’ quite literally changed my life. When I picked up Tina’s book I had just quit my job and had no idea what was next. As soon as I started reading I knew I had found my next career. Tina’s book led me down a path that has allowed me to create a life I didn’t even know was possible. I now do the work I love to do, live the life I want to live, and make great money doing it... and it all started with Tina’s book. Entering Tina’s world was one of the best decisions I ever made and I will be forever grateful for her and her powerful book." Since the first training in 2009, the Certified OBM&reg Training program is place to get all the training, tools, support and expertise required to officially start working with clients and be prepared to pursue the designation of Certified Online Business Manager.